The guitar is a unique instrument, nuanced but powerful, refined but diverse, subtle but commanding. It has appeared at the core of virtually every genre including pop, rock, classical, jazz, folk, and many more. It can support itself, producing melodies, bass lines, and accompaniments all at once. The sound and image of the solo guitarist, alone with the instrument, is iconic, conjuring feelings of intimacy and artistry. Below you will find several examples in a variety of genres, all performed on the solo guitar. If you would like more or are interested in something specific please contact. Conservatory-trained at the prestigious Peabody Institute, David offers a wide selection of music encompassing a multitude of genres and moods, suitable for any setting or event. He has been formally trained in classical and jazz and has countless hours of real-world experience working in those genres as well as in folk, rock, and blues. If you are interested in hearing more of a particular sound or are looking for a certain piece, song, composer, or ensemble please contact for more details. David is frequently in the recording studio and can offer recordings on request. 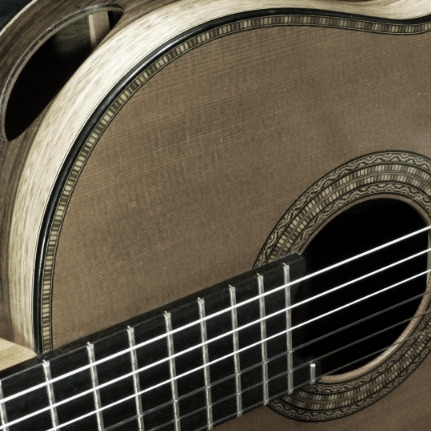 Perhaps the most beloved of the classical guitar repertoire is the Spanish tradition. These pieces have a strong and rich cultural identity that unites Moorish and Gypsy influences with broader European ancestry in a unique blend of classical form and flamenco passion. Over time, certain pieces of music have become intricately linked with our weddings traditions. From Wagner's Bridal Chorus and Mendelssohn's Wedding March to Bach's Jesu, Joy of Man's Desiring and Schubert's Ave Maria, these pieces create a beautiful and traditional wedding atmosphere. The solo guitar is a wonderful vehicle for popular songs and arrangements for the instrument always turn out great! David has arranged music by The Beatles, Elvis, Nico, Michael Jackson, Leonard Cohen, The Beach Boys, Kishi Bashi, Norah Jones, and many more. Arranging music is an ongoing project and the list is always growing. The solo classical guitar has an enormous and varied repertoire that reaches back to the Renaissance. With contributions from such musical giants as John Dowland, J.S. Bach, Fernando Sor, Johann Kaspar Mertz, Heitor Villa-Lobos, and Leo Brouwer, the classical guitar continues to surprise and amaze. Regardless of your personal taste, there is undoubtedly a genre, period, piece, or composer that you will love. One of America's most original forms of art, jazz can add a lively sense of energy and spontaneity to any event. David draws from the classic American song-book to play standards on the solo guitar and in combos.